Methyl Chloride is Mainly used in the production of methyl chlorosilane, polysilicone, tetramethyl lead (gasoline antiknock agent, methyl cellulose. A small amount used in the production of quaternary ammonium compounds, pesticides, in the production of isobutadiene rubber as a solvent. Looking for ideal High Purity Methyl Chloride Manufacturer & supplier ? We have a wide selection at great prices to help you get creative. All the Methyl Chloride Chloromethane are quality guaranteed. 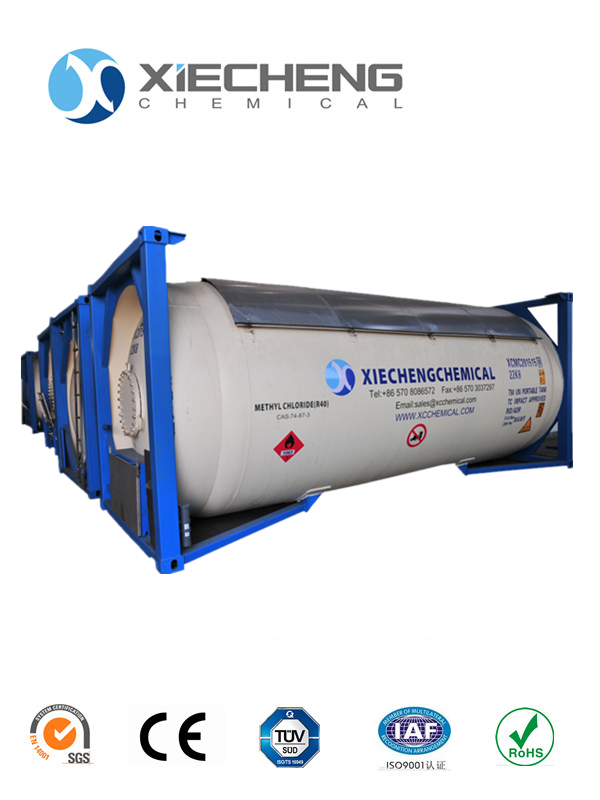 We are China Origin Factory of Methyl Chloride Chloromethane for ISO TANK. If you have any question, please feel free to contact us.